With the end of the regular session in sight, tension is rising, personal relationships are being strained and everyone’s scrambling to get things done as somewhat quickly as possible. Just a week left (and 363 days until the next Wrestlemania). Sen. John Coghill, R-North Pole, reluctantly called a Saturday meeting of the Senate Judiciary Committee after a “mini mutiny” by three of its members that we laid out in last week’s Friday in the Sun. 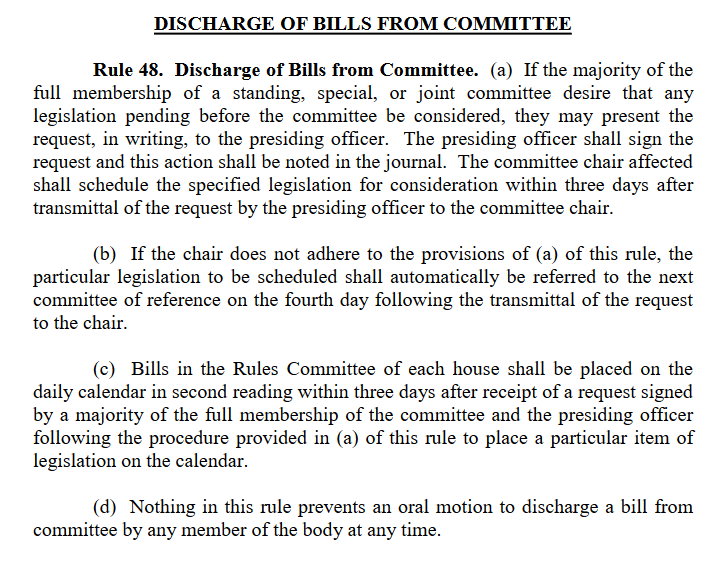 The too long; didn’t read version of the story is that Coghill has refused to bring up a handful of bills during the entire session, including bills by members of his committee. Those members: Sens. Mia Costello, Bill Wielechowski and Mike Shower got together to force Coghill to hold a hearing on Costello’s Senate Bill 127 (a repeal of criminal justice reform), Wielechowski’s Senate Joint Resolution 1 (the proposal to put the PFD in the constitution) and House Bill 214, which renames part of the Alaska Safe Children’s Act after Bree Moore. The hearing was calling their bluff of sorts as both Shower and Costello were expected to be out of town (Shower was at the time and Costello had signalled plans to leave). The two made an appearance for the hearing, but it didn’t last long. The committee hear only Senate Joint Resolution 1 with a bit of a debate between Wielechowski, Senate President Pete Kelly and Coghill. The interesting bit out of this debate was Coghill’s concern that putting the PFD would prioritize the PFD over all other spending. He worried the provision would block any amount of the permanent fund from being used for state government because that government spending would reduce the overall size of the permanent fund, thus reducing investment returns and the PFD. It’s a new argument in the debate about funding government with the permanent fund and, to our knowledge, doesn’t have a clear legal basis. Such an argument would likely take place in the courts. Coghill, who was clearly not thrilled about hearing any of the legislation, was ready to move on after about 30 minutes. He admitted that his hand had been forced on the meeting, but said he wanted to give the sponsors of the bills an opportunity to put their best argument forward. As Coghill was wrapping up the hearing on SJR 1, Wielechowski asked if there was a plan to hold public testimony, and Coghill said there wasn’t. Wielechowski asked if there was a plan to hear public testimony in the future. Coghill said there wasn’t. Then Wielechowski made a motion to move SJR 1 from committee, Coghill objected and adjourned the meeting. It’s an abrupt end that everyone involved probable knew was coming if such a motion was made. Still, it left both SB 127 and HB 214 without a hearing, and many weekend plans cancelled. There’s been a fair amount of talk about what Coghill’s refusal to even bring up Senate Bill 127 or House Bill 214 during Saturday’s meeting will mean. Some people have suggested that because it didn’t’ get a hearing it will be forwarded from committee under section b of Uniform Rule 48 that the bill will get forwarded to the next committees of referral (Finance for SB 127 and Rules for HB 214). The Senate Finance Committee rolled out its version of the operating budget that seems to be going in a lot of different directions at once. On the one hand it signs on with the House’s proposal for a $1,600 dividend, but also includes a massive budget line for unpaid oil tax credits while making somewhat small cuts all over the rest of the budget. After all the talks of being anti-tax and cuts-first, the Senate has somehow come in with a budget that’s larger than the governor’s proposal (by about $31 million). It’s still about $11.8 million smaller than the House budget. (We’ll be using all undesignated general fund spending in this section). The biggest cuts below the House budget are to Health and Social Services’ Medicaid spending (about $73 million) and the University of Alaska (about $13.5 million). It’s those oil tax credit payments that really inflate the Senate’s budget (Walker has a proposal to take care of those payments through bonding, but that’s seemed to gain little traction so far) at a $168 million increase over the governor’s budget or an $119 million increase over the House budget. The Senate Finance Committee heard public testimony in a marathon (although overall shorter than the House) hearing on Friday. Gov. 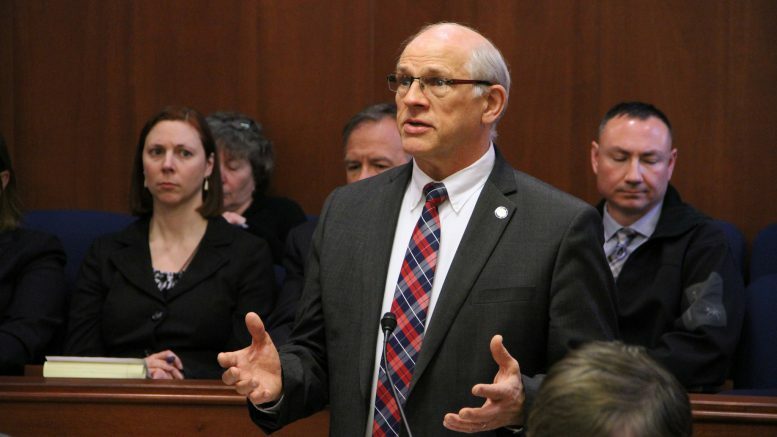 Bill Walker has been generally pretty quiet as the Legislature works through the budget, but has stepped into the fray after the Senate’s introduction of its operating budget. Walker said he’ll support the $1,600 PFD, but has raised major concerns about a proposed $4.5 million cut to the Department of Public Safety. The cuts are to a bunch of different proposals that were introduced by Walker as a means to improve officer retention, but the Senate has cut those and instead offered intent language (that non-binding thing that featured so heavily in minority House Republican amendments) pushing for pay increases for troopers. As if the Senate Judiciary Committee wasn’t in the news enough, the committee has also planned multiple hearings this week on Rep. Jason Grenn’s House Bill 44. That bill proposed to make some changes to how conflict of interest votes are recorded, but took a new twist when a lower committee took the voter initiative that Grenn is backing (that group also has the support of Midnight Sun Publisher Jim Lottsfeldt) and add it to his bill. This would mean the bill, if passed and signed into, would likely bump the Government Accountability Act off the ballot. It would not, however, enjoy the two-year protection from repeal that voter initiatives have. Tuesday marks the Legislature’s joint confirmation hearing for Gov. Bill Walker’s appointees. The House and Senate are set to begin at 11 a.m. on Tuesday. The big name to watch during tomorrow’s hearings will be Board of Certified Direct-Entry Midwives appointee Kenni Linden, who’s facing social conservative opposition because she previously worked at Planned Parenthood. If you needed more on the Coghill saga (we didn’t even touch on the Butch Moore angle in today’s post!) then head over to the Mat-Su Frontiersman, which has plenty of popcorn-worthy quotes. Read: Parents and Politics via Mat-Su Valley Frontiersman. Turns out sewage lagoons filled with, uh, septic tank pumpings are not covered under Alaska’s Right to Farm Act in a case that went all the way to the Alaska Supreme Court. Read: Alaska Supreme Court rules against Fairbanks sewage lagoon operator via Fairbanks Daily News-Miner. The beleaguered effort to get natural gas to the Fairbanks area will be holding an emergency meeting today that could bring big news for the Interior’s hopes of moderately less expensive heating and power. The state-backed effort may have finally found a source of additional gas. Read: IGU to hold emergency meeting Monday via Fairbanks Daily News-Miner. Be the first to comment on "AKLEG Recap, Week 12: Criminal justice reform repeal and Bree’s Law sidelined by committee clash"